​Challenges are a regular event where you can earn Challenge Coins ( ) that can be exchanged to open Hero Token Crates and Super Epic Packs. Each Challenge has a set amount of energy that can be attempted each day. Each event has a different Energy icon, pictured below. Some Challenges will allow you to refill Challenge energy using Gems, while others do not. Challenge energy refills each day as specified in-game. When you beat your Challenge opponent, you earn a special currency called Challenge Coins ( ). Each victory increases your difficulty but as the Challenge battles get harder, you will also earn more Challenge Coins ( ). Each battle awards Trophies. Each event has a different Trophy icon, pictured below. Collecting more of these will increase your score and ranking for that Challenge. As you increase in rank, you will face tougher battles. Earning 3 Trophies/Levels is a perfect score, but you may earn 1 or 2 depending on how much damage your hero takes, cards lost, and cards damaged. Your Challenge Rank is determined by the amount of Challenge Trophies/Levels you earn during the Challenge event. You can review your current rankings within the Challenge Event menu. Additional rewards are sent to you after the event ends. These rewards are based on where you placed compared to all other players. These are called Tiers. You can click on the "See All Rewards" button in-game to view the reward tiers and which items you will receive when the event has ended. Challenge Rewards will automatically be sent to players via the Mailbox ( ) to claim. PARTY SURFBOARD CHALLENGE - Partyboards: Righteous or too righteous? Cycling Challenge - Dates vary. Energy can be refilled using Gems. Cycling Challenge - Dates vary. FINGER CUTTER CHALLENGE - I'm sure the name is just a metaphor. FUTURE COP CHALLENGE - One man's past becomes present in the future. GRILL BATTLE CHALLENGE - What's the best way to grill a burger? ARTSY BUTTS CHALLENGE - Butts, butts, butts, who doesn't love artsy animal butts?! PIGEON CHALLENGE - Don't let childhood trauma stop you from playing this challenge. HILLOWEEN CHALLENGE - Halloween is just good clean fun. It's got nothing to do with the devil. BUTTERJUNK CHALLENGE - I've already got a double date with arm and hammer. HERO TOKEN CRATE - Includes a random amount of hero tokens for a random hero! SUPER EPIC PACK - Gives three cards with one guaranteed Epic or higher. Includes every input card in the game! 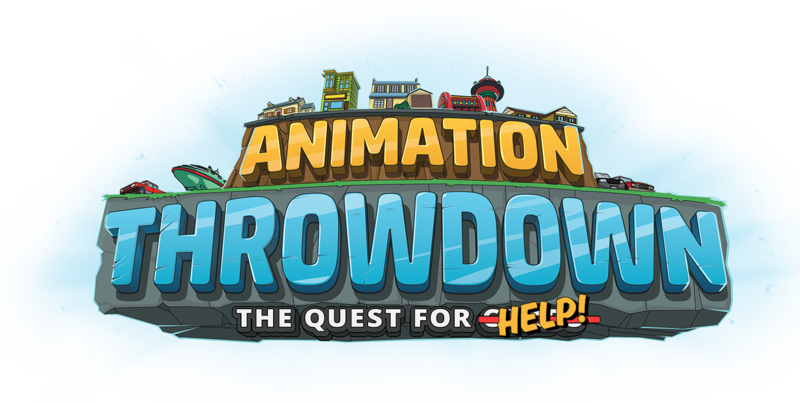 From time to time, Special Event Challenges are also held in Animation Throwdown. For a full list previous in-game events, click here.